You know what’s the worst? Dying. But do you know what’s the best? 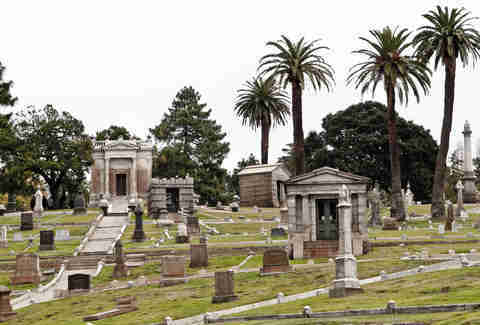 Doing all 35 of the things on this Oakland bucket list before you do, which range from catching the best sunset spots in the world to visiting a cemetery designed by the same man responsible for New York’s Central Park. Enter: heaven on earth. Opened in 1928, the historic theater was shuttered in 1966 and remained dark until 2009 when they reopened the lovingly refurbished venue with the same wonderful Art Deco interior, gilded ornate glamour, and impressive facade it had in the Roaring ‘20s. Doesn’t matter what you see (world-class rock, blues, R&B, hip-hop...), just see something. Extra credit points if you splurge and impress your date with VIP access. Double extra bonus points if you enter through the secret door in Rudy’s Can’t Fail Cafe. The Oakland A’s superfans in the O.co’s right field bleachers redefine superfandom with player-specific anthems, flags, musical instruments, special claps for different outs, and choreographed dances. Doesn’t matter if you like baseball or not (or even if you’re not an A’s fan), you gotta sit there at least once. Bringing your own kazoo from home: optional. Hit this sailor’s bar in Jack London Square -- made from the bones of a whaling ship and opened in 1883 -- and try not to spill your drink (there’s a crooked floor and tilted ceiling, both gifts of the 1906 earthquake that make this way harder than it sounds). Soak in the city from the center of the lake. Since 1999, the owners have been cruising lovebirds around the waters in traditional Venetian gondolas. It may be campy, but it's still totally great. Bonus: it’s BYOB. What’s that you say? 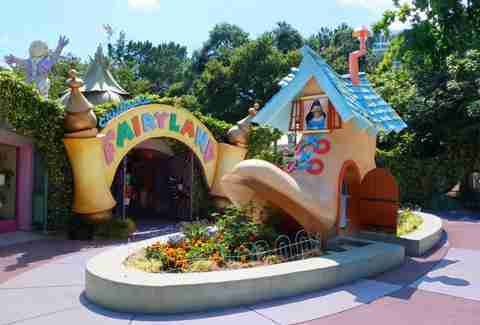 There’s a magical theme park upon which Disneyland was based right here in our backyard? Yes. Yes there is. And all you need to enter is $10 and and a child. 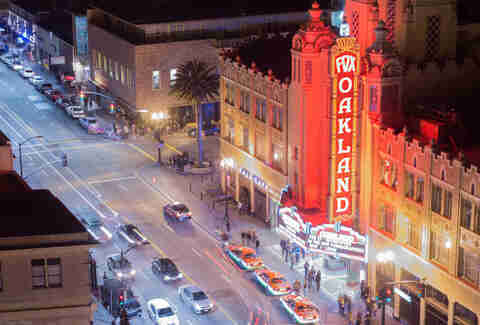 Oh, and if you’re squeamish about procreation, don’t worry: There’s an after-dark boozy bash for big kids hosted by community superbiz Oaklandish. It's kind of like your living room (it's got movies, good food, adult bevs, and couches, too), minus the part where you need to clean it up. Oh, and bonus points if you go on one of the monthly theme nights, like Cult Night or Mystery Science Theater 3000. This funky piano bar has been an Oakland institution since 1933, and Rod Dibble (now in his 80s) has been playing piano karaoke there for folks since 1960. Stop in before anything changes. Wander the paths by the reflecting pond until you find a nice little spot to get your daytime romance on. You’ll be shocked this gorgeous rose garden even exists in Oakland. 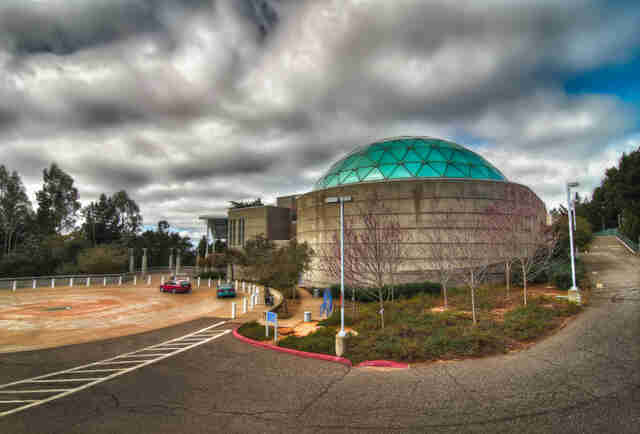 The After Dark events at Chabot are big-kid friendly. Bring a date, cuddle up with a sleeping bag, and learn about the night sky away from the crazy city. Our Oakland Raiders will be Las Vegas Raiders come the 2019 season. Join the 6am parking lot parties to pay your respects not just to the team but to the Mad Max costumes, the next-level tailgate skills, and the fierce devotion of the Raider Nation. Dress in silver and black, don’t be a jerk, and get ready to rock. Opened in 1933, this is the nation’s longest continuously operating gay bar. Friendly to every type of lover, the funky dive boasts pool tables, the perfect barstools for bellying up, a round fireplace for lounging, and the requisite mirrored dance room with DJ booth. Constant live music is the earmark of Eli’s divey dive. That and strong drinks. In the ‘70s and ‘80s, it was known for blues. Now it’s punk and rock. Stop by anytime after noon to get your liquid and/or aural fix. Sit high over Oakland with a bird's-eye view north towards San Francisco. Watching the sunset is a must at this sneaky spot, which is also perfect for fireworks shows. Just, you know, don’t tell too many people. Oakland fosters all kinds of creative weirdness, including -- but not limited to -- circus schools. You can let your inner circus star loose at places like Trapeze Arts and Kinetic Arts. Massive warehouse spaces allow for flying trapeze, aerial arts, and other crazy shenanigans. Follow it up with a damn fine sandwich at 10th & Wood made by owner Vlad Levitansky, a former world-traveling circus clown. Dreamy biscuits, fried chicken, and legendary pie make Lois the Pie Queen an Oakland eating institution. Lois has since passed on, but the family business stays strong. Just make sure you 1) save room for dessert, and 2) bring cash. If you want one of the best aerial views of San Francisco anywhere in the Bay, (spoiler alert: you do), this is where to go. And trust us when we say it’s worth the winding drive up through the Oakland Hills (just watch out for bicyclists). Live music, adult beverages, half-price museum entrance from 5-10pm (kids under 18 are free), workshops, food trucks, dance performances, and way more are yours for the taking every Friday night at OMCA. Get down, get with the community, and get a little culture in your life. Ask for the hand-pulled noodles at this long-standing Chinatown favorite. And yeah, it’s worth the wait. Artists, food, performers, musicians, dancers, poets, DJs -- have you not already done this? If not, here’s your cheat guide to doing it right. If you were gonna propose to someone, doing it surrounded by the twinkling Necklace of Lights ringing the lake on old-school lantern posts wouldn’t be the worst place you could choose. 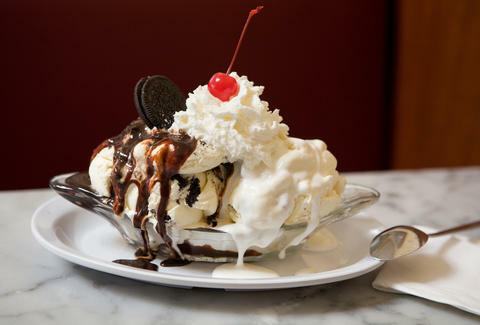 An ice cream haven since 1894, Fentons knows sundaes. 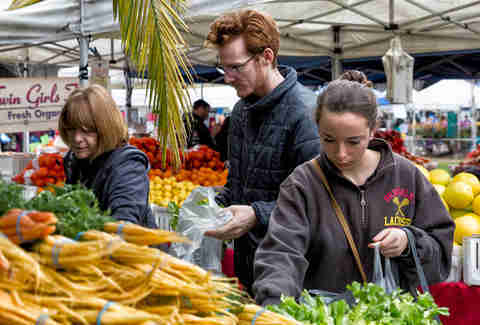 The constantly packed location on Piedmont is the perfect place to indulge your sweet tooth with a wide swath of the Oakland community. It’s got a total 1950s diner vibe (complete with paper boat hats), the long line moves quickly and, best of all, you get to sample flavors while you wait. 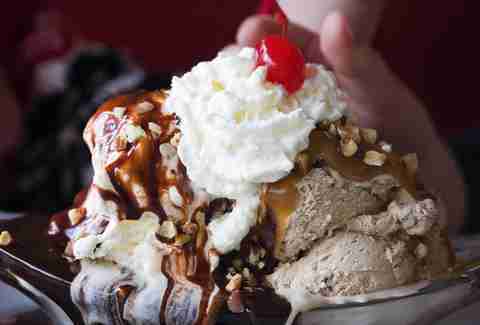 Bonus points if you go and take down the banana split challenge fast enough to get a free shirt. Get your grandeur on at the historic, 89-year-old Grand Lake Theater before the Friday or Saturday evening screenings when this bad boy roars to life once more. Who knew you could have Mission Impossible and the Mighty Wurlitzer in the same night? The clunky old dinosaur bridge has finally disappeared. Get your steps in for the day by walking the 2.2 miles of bike and pedestrian path spanning Oakland to Yerba Buena Island alongside the new bridge. In 2019 our NBA heroes will move to the newly built Chase Center in San Francisco’s Mission Bay. Must all sports abandonment occur in 2019?! 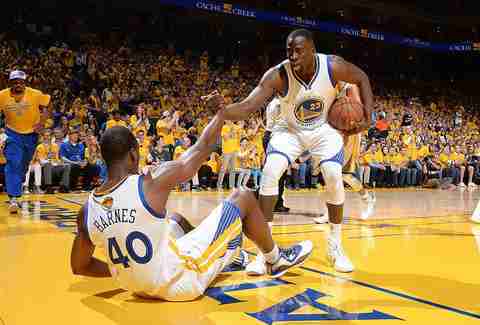 See the Dubs while they’re just a Coliseum BART stop away. When you need Mexican food covered in broiling cheese, eaten in decades-old vinyl booths, with Aztec warrior murals all around -- you go to Mexicali Rose. That’s just what you do. Dorothy Everett, badass BBQ queen and single mom to nine kids, started this East Bay empire in 1974. On Saturday nights, check out live blues with no cover while digging into some ribs. Zachary’s Chicago Pizza will make your cheesy heart melt. You always have to wait. It’s just how it goes. But it’s worth it. Opened in 1983, it’s now an employee-owned co-op, so you get some Oakland free spirit with your pie. Designed by the same man responsible for New York’s Central Park, this serene retreat is nestled on top of Piedmont Ave and is the final resting place of chocolate king Domingo Ghirardelli, coffee pioneer James A. Folger, Samuel Merritt (all the Merritt stuff is named after him), and Jane K. Sather, namesake of Sather Gate and Sather Tower in Berkeley. It’s also just a beautiful place to spend an hour or two. This East Bay Regional Park District sweet spot is covered in dog-friendly hiking trails and a hidden grove of redwood trees. The best part, though, is the ladybug migration that happens each winter. You won’t believe you’re just a few miles from a BART stop. Which should be easy since there’s a fine chance you’ve never tried ANY of the beers on tap at this specialty beer bar housed in a Victorian Oakland building from the 1870s. Oh, you didn’t know there’s a golf course there? Because there totally is. Annie Crawford is an Oakland-based freelance writer. Follow her on Twitter at @reinaannie.